This former correctional facility and extensive open space is leased from the County of Ventura. HELP’s West Campus facility provides space for some of HELP’s programs and provides rented office space and multi-purpose use for other local, non-profit organizations. The current HELP of Ojai Programs that operate from West Campus are the Senior Nutrition Program and the 2nd HELPing’s Thrift Store Donation Center, which includes the First Saturday Out West Sale, and other seasonal programs. 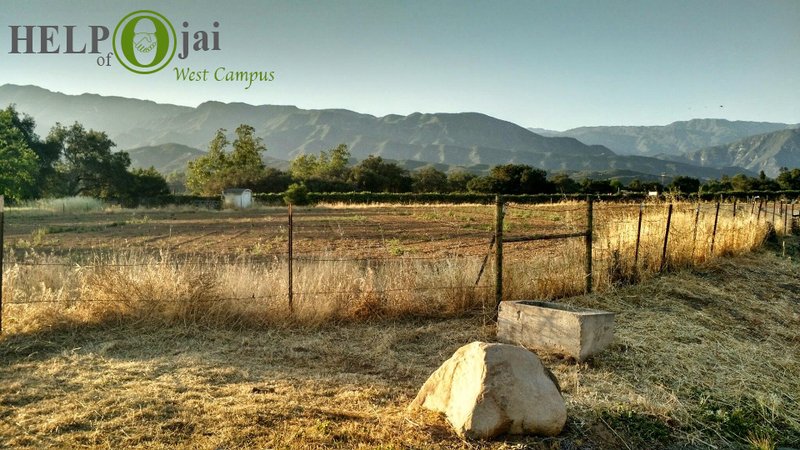 Current tenants of HELP’s West Campus are the Ojai Valley Land Conservancy, the Ojai Raptor Center, The CREW and ED Recycling. Ten acres of farmable, organic land is leased by Steve Sprinkel of The Farmer and The Cook restaurant and market. For more information on West Campus, please contact Kerry Ballantine-Bensen at 805-649-9218 or e-mail Kerry. In case of an after-hours emergency, please call Kerry’s cell phone 805-907-8340.